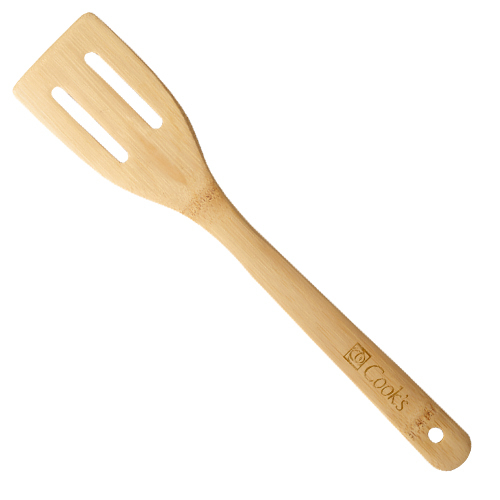 Sturdy spatula is the perfect tool in the kitchen. Naturally heat and bacteria resistant. Eco-friendly - 100% renewable resource. Best to hand wash with warm water and mild soap/detergent. Due to the natural variations in the grain, laser engraved imprints may have slightly different shades. Individually polybagged / 10 lbs / 300 pcs. / 18"L x 16"W x 12"Hbox.